The global economy is in trouble. Big trouble. Today, for instance, we hear that – yet again- the UK economy fell by 0.3%. Even though there have been a handful of quarterly rises in the past few years, largely the British economy has flatlined since 2010 – and we are still 3.3% lower than we were at the beginning of 2008. Once the global banking crisis triggered a worldwide recession the economy has been in the doldrums. In fact, back in 1990 when we had a recession GDP had grown to 7.58% 56 months afterwards. Here we are 56 months after the 2008 collapse and we are at -3.3%. Not a pretty picture. And all the while that governments and big businesses struggle to work out what to do, there is another issue affecting their actions. Ethics. Never before have we witnessed such widespread “ethical outing” of businesses. From the massive outpouring of media bile heaped upon international banks to the millions of people criticising Starbucks for not paying UK tax we have seen big business under attack. This week, for instance, the names of senior executives allegedly involved with interest rate fixing have been published in yet another example of increased criticism about the unethical behaviour of big business. There is more and more clamour for big firms to behave ethically, to be beyond reproach and to start contributing to the economy rather than to their own deep pockets. Profit is almost a dirty word again. New research, however, suggests we may be fighting a losing battle – and it is all because of global business. Being “global” inevitably means increased distance from your customers. The powers-that-be at Starbucks or Amazon haven’t got a clue who you or I may be – in spite of clever software and Tweets which give us the illusion of a relationship. 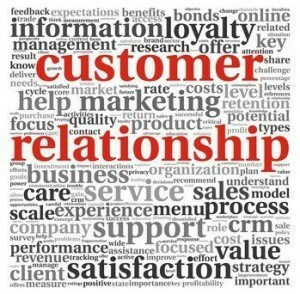 The bigger the business, the more remote they are from any kind of real, meaningful relationship with their customers. Now, I hear you saying, “but that’s always been the case”. Not true. Big banks have been global for decades – but their relationships were always local. Your local High Street bank manager was a pillar of the community, someone who knew all the local tradespeople and who could make decisions as to who to lend to without any need for any data or information other than knowing the person. Now, you no longer have a bank manager who you can call a friend. Instead you have a “relationship manager” who is sometimes only a name at the end of a phone in a call centre miles from you. They don’t know you and you don’t know them. Some kind of relationship that is! Interestingly, the amount of “bad debt” which banks have to bear appear to have increased the more data they collect and them more stringent they have become and the more computer checking they do. Their proportion of bad debt was much less when the decision to lend was down to the local bank manager who took time and lunches to get to know you. And that’s precisely what this new research really shows us. It shows that when you are more distant and your relationship is thereby weakened you start to make poor – perhaps even unethical – decisions. The more big business “globalises” and the more it centralises decision making the more it is going to make bad decisions. And that means we will continue to be in the economic doldrums. There is, however, an answer if you run a small or medium-sized business. Make sure you don’t get caught up in the whole “global” is better theory. Concentrate instead on developing deep and meaningful relationships with your customers and potential clients. That way you – and they – will make better decisions which are also going to be ethical and sound. Once again, this new study merely confirms which all those ex-bank managers knew anyway – the best business comes from relationships.